A powerful YA debut, told with astonishing insight and wit, about the depths and boundaries of true friendship and obsessive teenage love—perfect for fans of Sarah Dessen, E. Lockhart, and Sara Zarr. Anica Mrose Rissi grew up on an island off the coast of Maine. After college, she moved to New York City, where she worked as a cheesemonger and book editor. She now writes, fiddles in the electro-country band Owen Lake & the Tragic Loves, and walks with her dog, Arugula, near their home in Princeton, New Jersey. Anica is the author of several books for younger readers, and her essays have been published by The Writer and the New York Times. 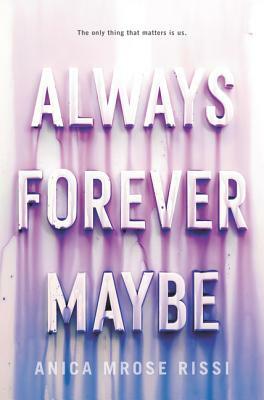 Always Forever Maybe is her YA debut. Visit her online at www.anicarissi.com.